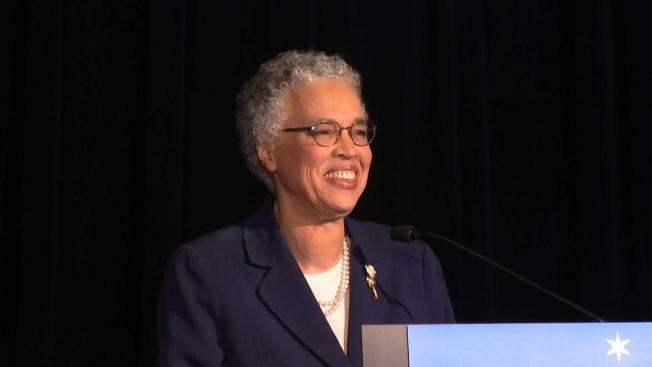 Cook County Board President Toni Preckwinkle spent more than $5.8 million in the three months leading up to the April 2 mayoral runoff election with Lori Lightfoot, state campaign finance records made public Monday show. The spending did little for Preckwinkle, who received just 26 percent of the vote and lost each of the city's 50 wards in a landslide defeat. Preckwinkle outspent Lightfoot from January 1 through March 31, records show, by more than $1.4 million. Preckwinkle’s “Toni for Chicago” campaign fund was fueled in large part by donations from the SEIU Illinois Council PAC and other related SEIU affiliated groups. At the end of March, Preckwinkle had spent all but $298,681 in her mayoral fund. A separate Preckwinkle for President political fund associated with her role as Cook County Board president had $38,249 at the end of March, records show.